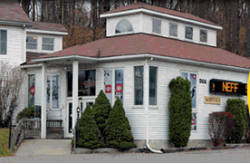 We are the oldest ski/snowboard shop in the Poconos, open since 1974. Sales, service, and rentals. Starting Gate Action Sports is a one stop shop to make the most of the snow. Family owned and operated, Starting Gate carries top quality products by the biggest brands. Daily and multi-day ski and snowboard rentals are available in addition to an industry certified repair shop.